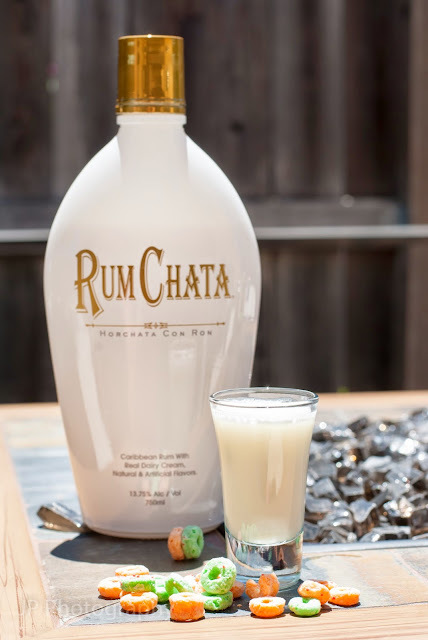 It's Day 2 of my "5 Days of Rum Chata". Tonight we have our last league softball game. It all comes down to tonight! If we win then we move onto the playoffs......if we loose, we go back to our Tuesday night dinner & drinks like we do between seasons. Fingers crossed that we win tonight! 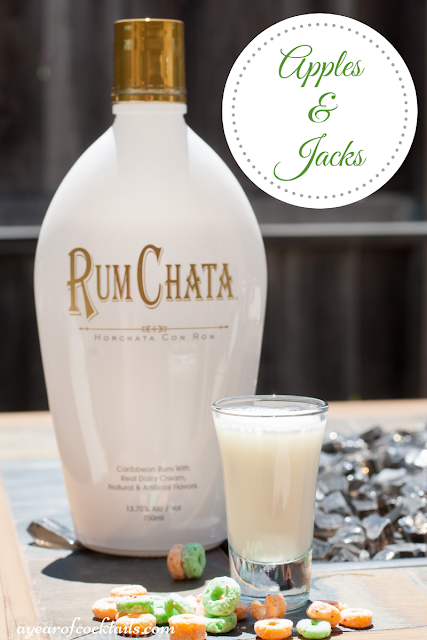 Today I am making another cocktail that I found on Rum Chata's website. We had a box of Apple Jacks in the cupboard, so I figured why not try this shooter so that I can use some in my photo! This shooter tastes very similar to the milk left behind in your bowl after you have finished a bowl of Apple Jacks. The only thing different is the extra cinnamon spicy taste that the Rum Chata puts in your mouth. I'm not complaining about that taste, just pointing out the difference. All in all, this is a pleasant tasting shooter! In a shaker, add ice and both of the ingredients above. Shake and strain into a shot glass. Here's to Day 2 of 5. 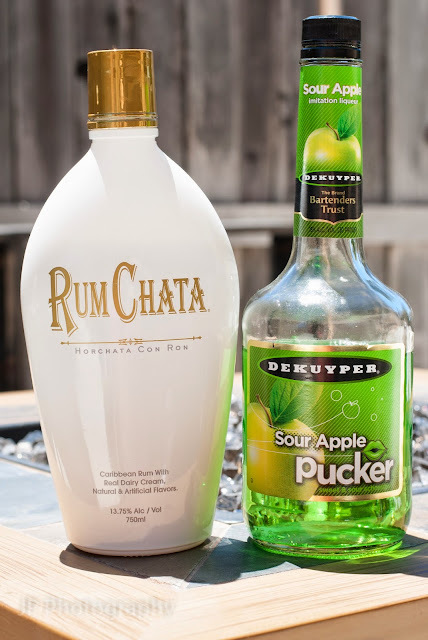 I am excited to try 3 more Rum Chata cocktails this week! !